Plastic overmolding technology is employed for a wide range of aesthetic and functional purposes in many industries and applications, such as Medical Devices, Appliances, Electronics, Consumer, Agricultural, and Automotive products and components. A wide range of thermoplastic materials can be overmolded, including soft plastics such as urethanes and thermoplastic elastomers (TPE) and hard plastics such as nylon and polycarbonate. Overmolding is a very difficult process, requiring adherence to the very tightest of tolerances. The general concept of overmolding is quite similar to insert molding, but presents far more opportunities for mistakes and a much smaller margin of error. Welson Mold’ overmolding processes create parts specifications as tight as 0.001″. We utilize the most advanced injection molding equipment for overmolding, to ensure the highest possible quality and superb repeatability. Because the materials we use shrink as they cool following the overmolding process, special consideration must be made in the creation of our molds. 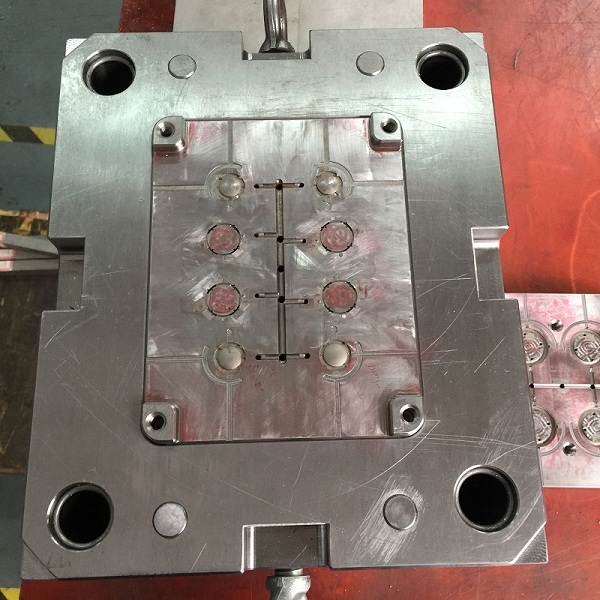 And, because we use a number of different materials in overmolding, all of which have different cooling/shrinking properties, it is crucial that we create our molds to match the specific properties of the material(s) being used. Our mold designers will perfectly match their mold specs to the unique needs of your overmolding project. Proper mold design and construction and material selection are important in custom plastic overmolding to maintain part tolerances and tooling reliability. In addition, Welson Mold often employs robotic automation in the plastic overmolding process for fast and precise placement of inserts. With our many years of custom plastic overmolding experience, in-house engineering, mold design and building, and focus on innovative solutions, Welson Mold has partnered with many customers to produce overmolded plastic parts and components that reduce labor and assembly costs, while improving the quality, reliability and integrity of the end product. To reduce production time. No need to assemble two separately manufactured components (such as a metal tool and a rubber hand grip). Overmolding the metal tool with a rubber hand grip eliminates the assembly process.